What do we know about Paris Jackson? 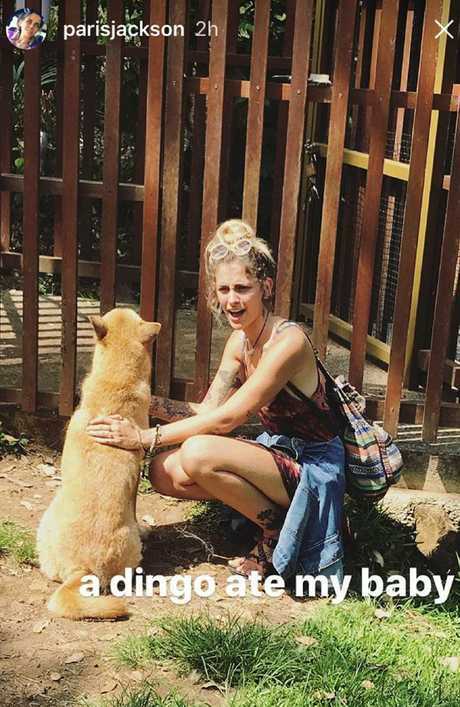 PARIS Jackson's controversial trip down under has again caused a stir after she posted a photo of herself with a dingo, captioning it with a reference to the death of baby Azaria Chamberlain. Paris, the daughter of the late pop icon Michael Jackson, is believed to have been visiting a wildlife sanctuary on Hamilton Island when the images of her patting a dingo were taken. She posted the snaps to her Instagram page with a caption "a dingo ate my baby" scrawled across the bottom of the photo. Paris Jackson’s Instagram post from Hamilton Island. 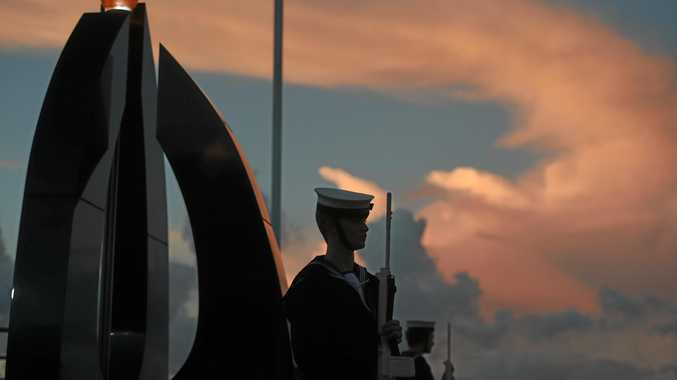 The caption is a reference to one of Australia's most infamous criminal cases in which Lindy Chamberlain was wrongfully imprisoned over the death of her two-month-old daughter Azaria. Lindy was later released when a coroner ruled a dingo had, in fact, killed Azaria. The case was immortalised in film with Meryl Streep's portrayal as Lindy Chamberlain screaming "the dingo took my baby" making its way into popular culture, parodied by television shows including The Simpsons, Seinfeld and Buffy. Macquarie University modern history associate professor Michelle Arrow said most Americans didn't realise the tragic truth behind the catchphrase. "I think the knowledge of it purely comes from pop culture and it became a bit of a punch line because of Meryl Streep's performance," Prof Arrow said. "I'm sure if Paris Jackson knew the true facts of the case, that a nine-week-old baby girl was taken out of her tent by a dingo, and that's one of the most horrible things you can imagine happening, she probably wouldn't make that joke but I certainly don't think it was said with malicious intent." Ms Jackson made headlines earlier this week for her bizarre behaviour in the Birdcage at The Melbourne Cup where she pressed her face against the venue's windows and poked her tongue out at photographers. The teen later took to Twitter to criticise The Herald Sun for its coverage of her antics at the glamorous racing event. Lindy Chamberlain-Creighton declined to comment on the matter.